A month ago I bought an organic face wash and face toner, however what I did not know was that it contained alcohol and my skin HATES alcohol, because my skin is dry, the alcohol dried it out so much more and basically turned my face to paper, my face was very tight, itching and I was breaking out in rashes. Needless to say that lead me to looking for a natural and more gentle way to soothe and clear out my skin. This face mask contains oats and milk which I have never used before although I have seen some recipes around and I know they are both very soothing and moisturizing and oat is actually a gentle exfoliant but I have never gotten around making a face pack with either of them before, however manuka honey is a personal favorite of mine for a facial wash.
OATS : Oats is a cereal plant cultivated for its edible seeds. It is very soothing to the skin, moisturizing and a very gentle exfoliant. 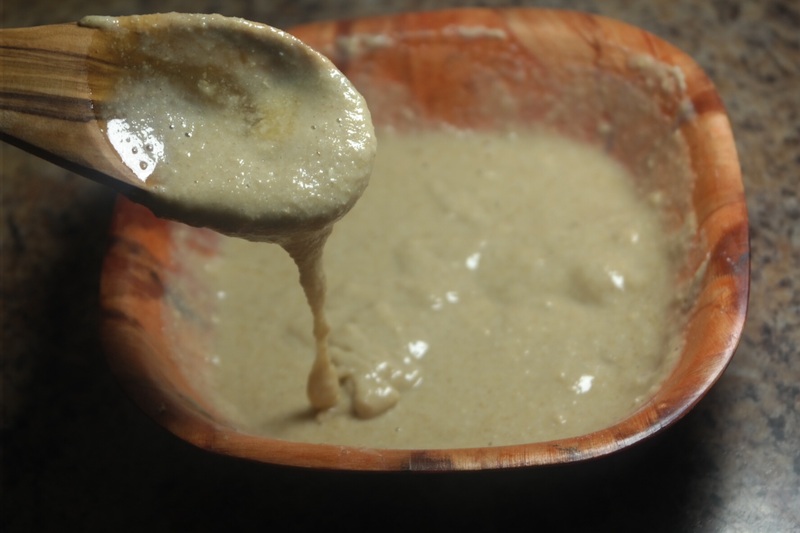 Because the skin can absorb amino acids and oat contains up to 18 different amino acids it is a very good ingredient to help on blemished skin. It also contains saponin which is known for deep cleaning. 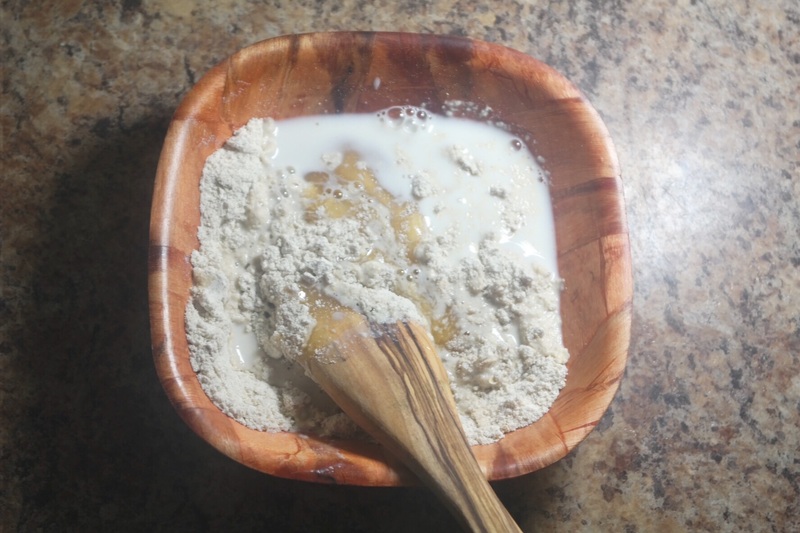 A quick and easy way to use oat as a cleanser is to grind a little bit in a blender and add water, rub it on your face or all over the body and rinse off, your skin will feel soft and clean. It can also be used in combination with baking soda and essential oil for a soothing bath soak. MILK : Milk contains lactic acid. Lactic acid is a beta hydroxy, this means it is an exfoliant that allows the dead skin cells on the surface of the skin to slough off when applied and allowing new glowing skin to regrow. It helps in smoothing out the skin and also helps with wrinkles. It shrinks pores, moisturizes the skin and brightens complexion. Milk contains vitamin D and this is very important for skin cell regrowth and also known to be soothing for psoriasis. The best option of milk to use is whole milk either in powdered form or milk from either cow or goat, personally I use cow milk because that is what I have in my fridge however I am sure I’ll try goats milk or even plants milk. It can also be used as a cleanser. Dip a cotton ball or cotton pad in a glass of full fat milk and apply to the face in a circular motion, allow it to dry and reapply again wash off with water and use a moisturizer. Honey can be added to the cotton pad before the milk. HONEY : Honey is actually a personal favourite especially manuka honey. Because of its antibacterial content, it is very useful for acne skin or inflamed skin. It is also a humecant which means like glycerine, it helps in attracting and holding moisture into the skin, this is very amazing for dry skin. It also aids in healing wounds and brightens up complexion. 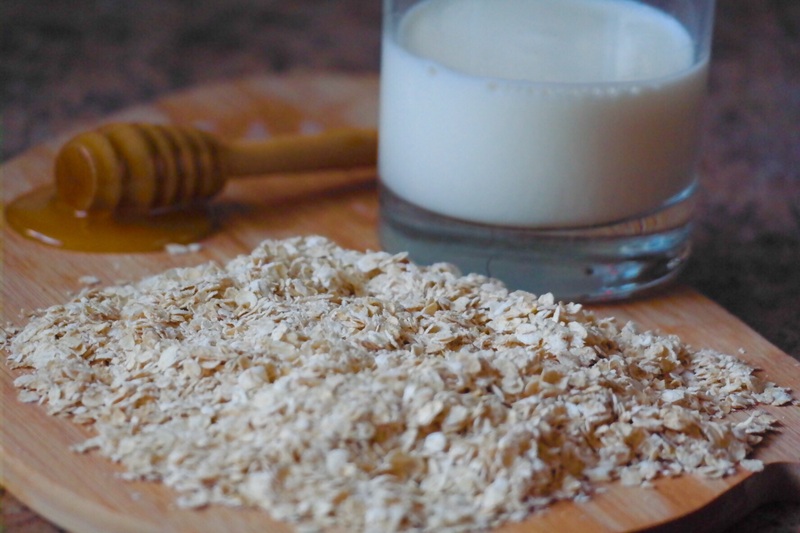 This is really simply, just add milk and honey to your grounded oat , mix well and apply to the face. Allow to dry and use a wet face cloth to wipe it off. Use a toner and moisturize your skin. Do this once a day for as long as you need or until your skin gets better. This face mask made my skin better for sure it cleared my rashes and soothe my skin. One thing I have realized over a period of time is that if you want to really see change in the health of your skin, you need to stick to a heathy routine and be patience. I have actually started doing this more frequently now because I am trying to eliminate store-bought cleanser, although I am still using my body shop vitamin E cleanser for now. I need to say this, I am not an expert on any of these but I love-making my own natural skin care and discovering natural ways to make my skin feels and look better. Though I have taken some classes and will take more classes however, I am purely an enthusiast so please before you try any of my natural remedies, do your research. Thank you so much for reading and please leave a comment down below.